Still very youthful though a brooding monster in waiting. Very aristocratic nose of rich Cabernet fruit intermingled with vanilla oak . Dense and concentrated on the palate with extraordinary depth of fruit and considerable tannins. Marvellously harmonious and amazingly long and intense. 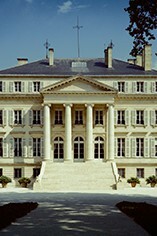 The Wine Advocate - The 1986 Chateau Margaux is one of the dark horses of the vintage. It has an exquisite bouquet that is now fully mature, with a mixture of red and black fruit, violets, pastilles and hints of cold stone. It blossoms in the glass, gaining intensity all the time. The palate is medium-bodied with fine tannin, a more robust Margaux as you would expect given the vintage, clearly with firm backbone, more straight-laced than the 1985 or 1989. Yet there is wonderful delineation and focus here. If you seek strictness and classicism in a wine, then this is the place to come, plus there is superb mineralit and tension on the ferrous finish. 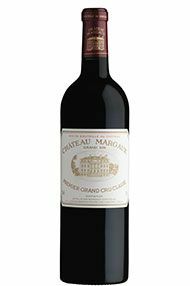 Perhaps a little overlooked in recent years, the 1986 Margaux comes highly recommended for those who love the property. This is a wine finally coming of age. Tasted July 2016.